Protein is one of the three macronutrients the body needs for daily functions. The other two macronutrients are fat and carbohydrates. Protein has a recommended dietary reference intake of 0.36 grams for every pound of your weight, which is equivalent to 0.8 grams per kilogram. It is also known for its many benefits for weight loss and health in general. This macronutrient has several important functions. It is good for the repair and maintenance of body tissues, and it is helpful for hormonal balance. In fact, the majority of the body’s enzymes are proteins. They drive thousands of chemical reactions that take place in the human body. They also deliver molecules to areas in the body that need them. Many people are not aware that protein is necessary for weight loss, bodybuilding, and overall fitness. But research shows that protein can help in curbing appetite, enhancing metabolism, reducing weight, and improving body composition. There are certain hormones that proteins help produce. These are PYY and GLP-1, which are known to make you feel full and satisfied longer. Apart from that, protein decreases your level of ghrelin, which is also called the hunger hormone. With higher protein intake, your metabolic rate may increase from 20 to 35 percent. On the other hand, fat and carbs may only increase it by 5 to 15 percent. The problem with dieting is that the reduction of calories can reduce your metabolic rate as well, due to muscle loss. However, protein can protect the body from muscle loss. A high-protein diet is beneficial, safe, and healthy for most people. People who suffer from moderate to advanced kidney problems may need to reduce their protein intake. This will preserve the kidney, allowing it to continuously function. A high-protein diet may also cause the formation of kidney stones in people susceptible to it. Those who have liver problems or other serious health conditions need to consult their doctors before going through the diet. Any type of diet requires exercise if you want to lose weight. The only problem with exercise is the muscle loss that results from it, which leads to a reduced metabolic rate. A high-protein diet can improve the effects of exercise on weight loss, without muscle loss. This makes any high-protein diet a must-follow for bodybuilders. In a study, researchers also found that women who went on a high-protein diet lost more abdominal fat. When exercise and a high-protein diet go together, it has a synergized effect on weight loss. These two elements work together to help enhance body composition. Dieters lose more weight, but they lose fat and not muscle like in other types of diet. Eggs are rich in protein. Egg whites, particularly, are made up of pure protein. A large egg has 6 grams of protein. Not only that, but eggs are also abundant in antioxidants, minerals, vitamins, healthy fats, and other nutrients. Another popular high source of protein is chicken breast. One chicken breast, roasted without skin, has 53 grams of fat. It is easy to prepare, and it tastes delicious too. Milk is a great source of protein, but many people are lactose intolerant. If you are not, you better drink it regularly because a cup of fresh milk has 8 grams of protein. Milk is also rich in calcium, phosphorus, and riboflavin. Tuna is a popular fish and a great source of protein. It has a low amount of calories and fat, but it’s high in protein. A 154g cup of tuna is worth 39 grams of protein. It is also high in other important nutrients and contains a lot of omega-3 fats. Broccoli is another good source of protein. One 96-gram cup of chopped broccoli has 3 grams of protein. It is also rich in many other nutrients such as vitamin C, fiber, vitamin K, and potassium. It also has a number of bioactive nutrients that can provide cancer protection. Quinoa is a grain or a seed that is one of the world’s popular superfoods today. Quinoa is loaded with fiber, vitamins, minerals, and antioxidants. A cup full of 185 grams cooked quinoa is equivalent to 8 grams of protein. Shrimp is also high in protein. Three ounces of shrimp has 18 grams. It is rich in many nutrients including selenium and vitamin B12. It is also loaded with omega-3 fatty acids. Lastly, you can have peanuts. An ounce of peanuts can have 7 grams of protein, as well as high amounts of magnesium and fiber. Peanut butter is also a good source of protein—just don’t have too much of it, though. These are only some of the best high-protein food options that you can buy at any grocery store. For you to have a better understanding of the high-protein diet, try to compare it with other diet types. If you have been trying to lose weight for quite some time, you may have already come across the Atkins diet and the keto diet. The keto and Atkins diets are actually also high-protein diets; the only difference is that they limit carbohydrate intake. These diets’ premise is that by limiting the intake of carbs to only 50 grams or less, the body will be forced to burn stored fat instead. This process is known as ketosis, hence the name of the diet. The difference is that the Atkins diet is composed of phases that are not found in keto. However, cutting down carb intake does have some adverse effects. You will be missing out on many delicious and nutrient-rich foods. Carbs are also the major source of energy for exercise. Reducing carb intake can leave you with exhaustion and dizziness. They are a rich source of fiber as well. When you reduce carb intake, it will be difficult to find fiber elsewhere. These concerns can lead to the question of what makes the ideal high-protein diet. The complex process that is often advised by diet programs can be simplified. This is the principle behind the Ideal Protein Ketogenic Weight Loss Protocol. This is a high-protein diet composed of four phases and two main components. These two components are weight loss and healthier lifestyle education. The latter is meant for you to maintain the results of your weight loss throughout your lifetime. Throughout the holistic program, you will know about the basic principles behind food and their impact on you. You will be taught not only how to develop healthy eating habits, but also how to have a better lifestyle. You also have personalized help in establishing your goals for weight loss. All throughout your Ideal Protein Ketogenic Weight Loss journey, you will be able to enjoy one-on-one coaching. Along with these, you will be provided with simple and easy recipes. Online tools will also be provided to support your weight loss goals. 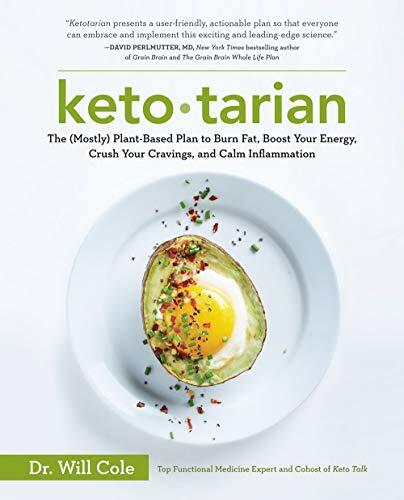 You can learn about the latest twist on the keto diet from the book Ketotarian: The (Mostly) Plant-Based Plan to Burn Fat, Boost Your Energy, Crush Your Cravings, and Calm Inflammation byDr. Will Cole. This book tells you how to maximize the benefits of the keto diet without the heavy meat-and-dairy food plans. The diet makes use of plant-based protein sources. Ketotarian includes 75 recipes that are vegan, vegetarian, and pescatarian. 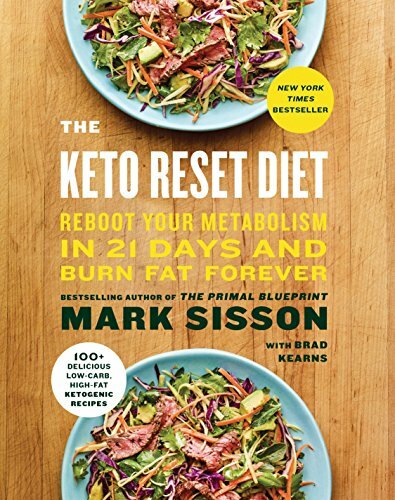 Another must-read book is The Keto Reset Diet: Reboot Your Metabolism in 21 Days and Burn Fat Forever by Mark Sisson. Sisson is also the author of The Primal Blueprint. In the book, he presents a new two-step scientifically approved approach to the old keto diet. His promise is to reprogram your metabolism for 21 days to burn fat for body fuel. 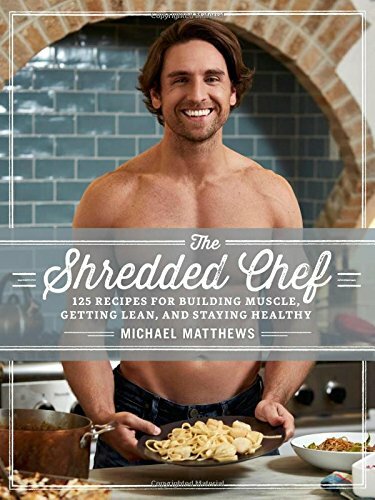 The Shredded Chef: 125 Recipes for Building Muscle, Getting Lean, and Staying Healthy (Third Edition) is also a good read for those who want to lose weight and build muscles. In the book, you will learn about highly effective meal plans, recipes, and the proper way of counting and using calories. This is the third edition of Michael Matthews’ bestseller that sold 200,000 copies. 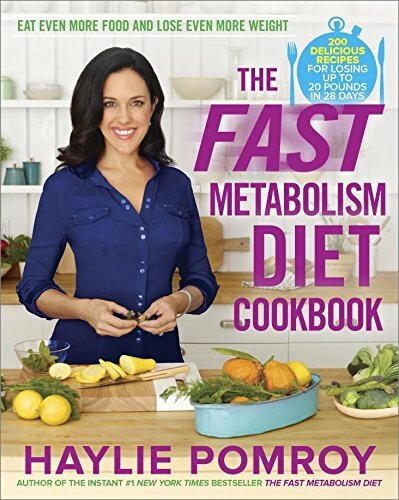 If you want to make your kitchen your best weapon to lose 20 pounds in just 28 days, you better read The Fast Metabolism Diet Cookbook: Eat Even More Food and Lose Even More Weight by Haylie Pomroy. You will learn more than 200 recipes that are simple and easy to cook for the whole family. The book introduces three phases in cooking: relieving stress and supporting the adrenals, unlocking stored fat and feeding the liver to be healthy, and using the kitchen to ignite and unleash the Fast Metabolism hormones through high-healthy-fat meals. These books are great resources if you’re interested in learning more about the best protein diet programs today, and all of them can be purchased on Amazon. We’re also here if you have any questions about high-protein diets and the importance of protein in weight loss. Ask away!